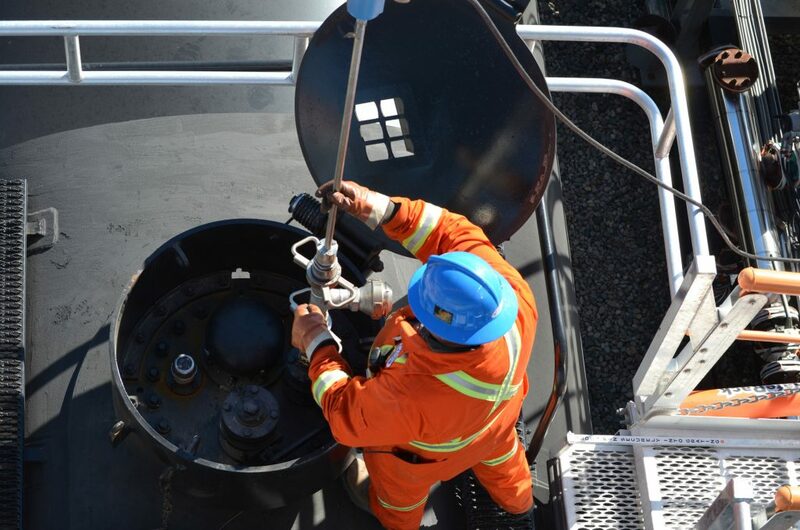 Imperial Oil recently received a Safe Shipper Award from CP for 2015, an award that recognizes companies who hold safety as their number one priority and who understand that one non-accidental release is one too many. Cando’s switching team at IOL’s Strathcona refinery played a huge role in receiving this award, something that was recognized by several IOL managers. “This is very much due to your involvement in our daily work at the Edmonton Railyard. I ask that you thank each of your employees and let them know that we greatly appreciate their efforts in making this award a reality. It would not have happened without the team effort every day”, said one IOL manager in an email to Cando. This award is for the 2015 shipping year in which Imperial also recorded a record 25,737 loaded railcars at the Edmonton facility of which Cando was a critical component of that success. In addition, Tundra Energy Marketing Ltd. received a Safe Handling Award from CN for 2015 for its crude terminal in Cromer, MB, where Cando provides all of the loading and switching operations. Safe Handling Award is presented to customers who load freight cars with dangerous goods and meet strict standards for the safe handling and shipment of regulated products. The winners must meet established criteria, according to the total number of shipments of dangerous goods for all facilities. This is Cando’s third consecutive year of operations in Cromer and our third consecutive award.